a spot of whimsy: Calm Down Party. Ladies and Gentlemen: it is August. August. Summer really needs to slow its roll, and I really need to attend a calm down party. I feel like warm weather is slipping through my fingers, and I'm doing my best to hold onto it and make the most of it. What about you guys? Feeling as frenzied as I am? Then come join me at the virtual party! 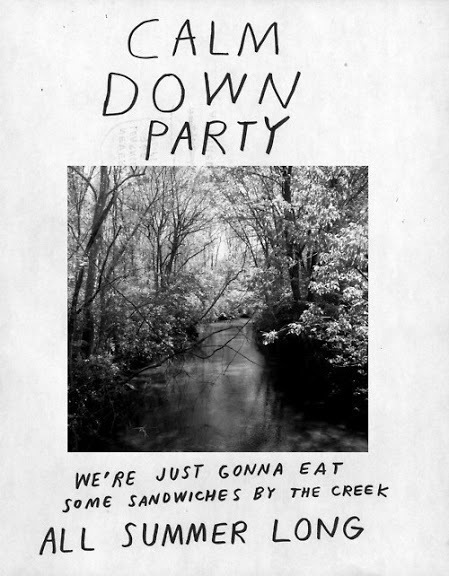 Haha sounds like a party I'd love to attend!